How many times do you find yourself near an elevator or lift? You can find them in hotel lobbies, shopping malls, offices and even subway and bus stations. Try to remember all the ones you’ve seen recently. Were they decorated in any way, advertising a brand or promoting an upcoming event? More often than not, there was probably some design — and it caught your eye whether for just a glance or long enough that you studied it as you waited for your turn to ride. How would you like to create this same effect on visitors and guests for your business? At SpeedPro Imaging Charlotte South, we create specialty elevator door wraps and skins customized to the details of your brand. 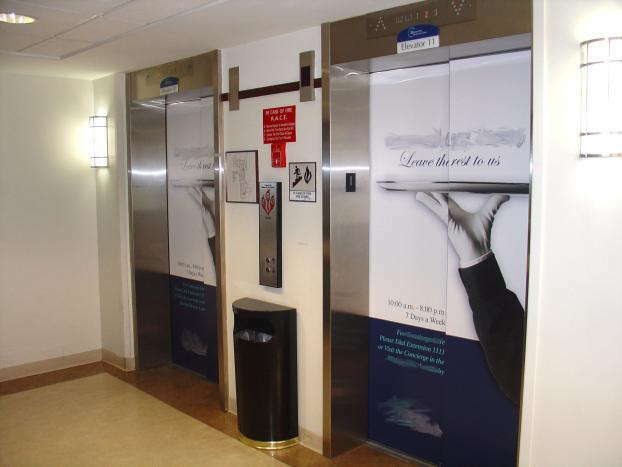 Whether you work in an office building and want to create a custom experience for your guests or are located across the street from a parking garage that many of your customers frequent, you can extend your brand clearly and creatively with elevator door graphics. If your company or organization works in the various cities and towns of Charlotte, Indian Trail, Monroe, Matthews or Ft. Mill, reach out to our studio now to begin your customization. 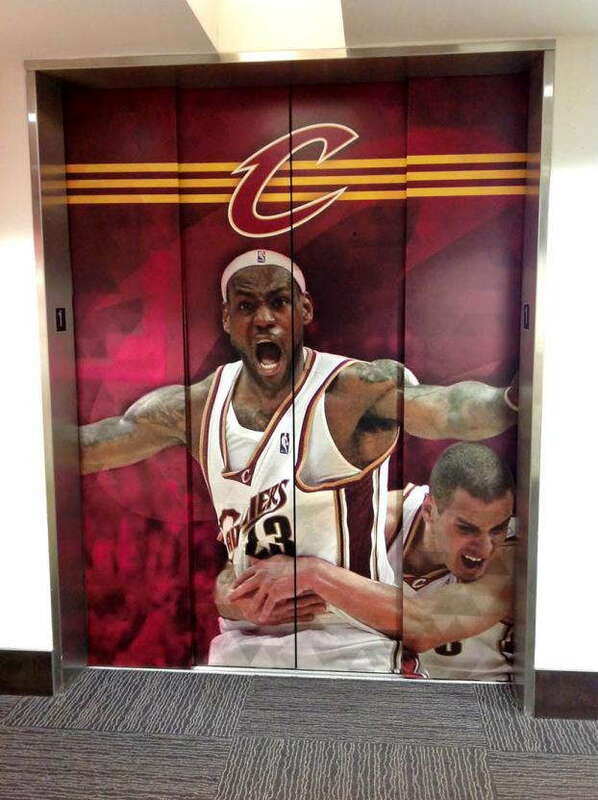 Greet your customers every morning with a custom elevator door skin. You can get people thinking about your business as they begin their day on their way to work. Then, when people arrive at your building, they’ll be greeted by more consistent branding and feel welcome and invited in. Attractive elevator door wraps create a visual impact on the move, effectively reaching a community that’s often on the go. 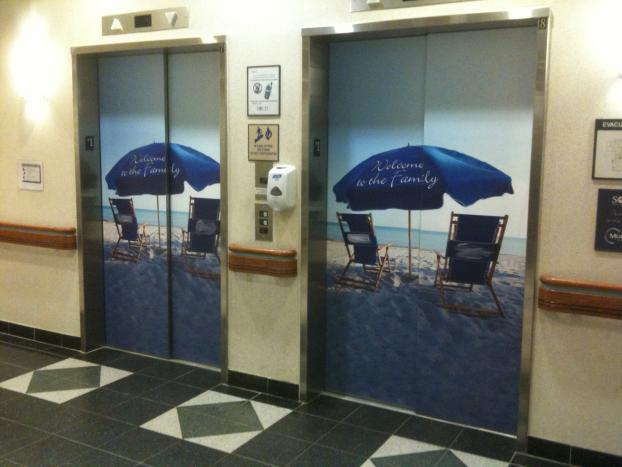 You can promote countless products, services and more with elevator door graphics. Are you hosting an upcoming event or open house? Advertise the big day several weeks or months ahead of time, offering a daily reminder that won’t be ignored by visitors. Use decals and graphics to present a particular product that’s associated with your inventory. 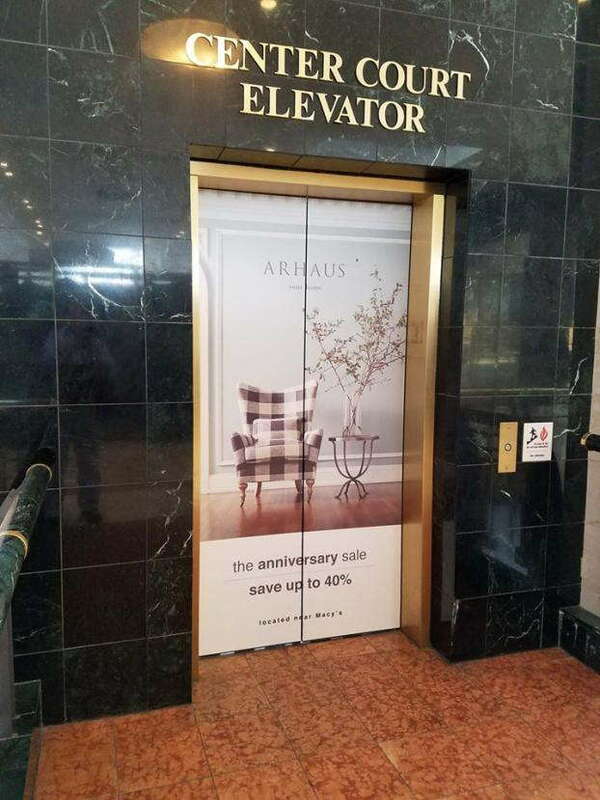 You might also customize elevator skins to display a scene or experience for customers — a sort of “sneak peek” into what lies before them if they plan to enter your office or building. Our team at SpeedPro Imaging Charlotte South will coordinate with you to create the best design possible — and pair it with the ideal adhesive to make your design last. The vinyl material will get stretched and wrapped around the metal frame of the elevator door, positioning your brand front and center. Whether you plan to rebrand and redesign every two weeks or keep your branding consistent for months, we’ve got you covered. With fade-resistant inks, your elevator wrap will continually grab attention and pique the interest of passersby. Call our studio today to learn more and secure a consultation appointment with our design team.